Great place for vacation. Close to deception pass park and everything is so convenient. Great location for the Tulip Festival weekend. Exhaust fan needed repair. Where to find La Conner hotels near an airport? How can I find hotels in different La Conner neighborhoods? Where can I find hotels in La Conner that are near tourist attractions? Planning to visit Mount Vernon? Would you like to reserve a hotel or apartment conveniently located near the downtown part of La Conner? Within 0.1 kilometres (0.06 miles) of central La Conner you'll find 7 hotels you can choose from. 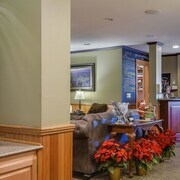 Within a 1-kilometre (0.6-mile) radius of La Conner's city center, you can find a range of accommodations, like the Katy's Inn and La Conner Channel Lodge. The Majestic Inn & Spa is situated 17 kilometres (10 miles) away from the main part of La Conner. Another accommodation option is the Hampton Inn & Suites Burlington, which is located 14 kilometres (8 miles) away. The Inn At Barnum Point and also the Holiday Inn Express & Suites Burlington are other alternative accommodation options worth checking out around La Conner. For visitors who would like to enjoy more of the forests, mountains and glaciers in this region of United States of America, you may choose to plan extra nights in other parts of Northwest Washington. Spend your time skiing, cross-country skiing and mountain climbing or see the region's visitor attractions. Comfortable hotel options are available. Whitmarsh Junction is found 16 kilometres (10 miles) to the northwest of La Conner. 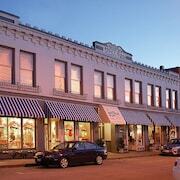 Here, you can discover the Anacortes Museum and Maritime Heritage Center. 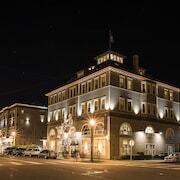 Anacortes features some good places to spend a night or two. Or, there's Whitmarsh Junction, 10 kilometres (6 miles) to the northwest of La Conner. 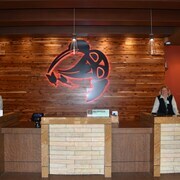 In Whitmarsh Junction, take the time to check out the Swinomish Casino. 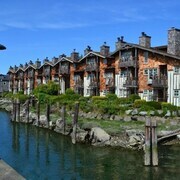 Accommodation options in Whitmarsh Junction include the Swinomish Casino & Lodge and Fidalgo Country Inn. Before you leave Mount Vernon, ensure you catch some sport. Visit Safeco Field to the south of La Conner. Those wanting to find a room or apartment close to the stadium can take their choice from the Four Seasons Hotel Seattle or the Seattle Marriott Waterfront. 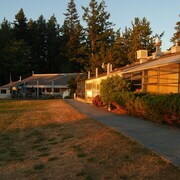 For visitors traveling by air to La Conner, the most convenient airport is Lopez Island Airport. 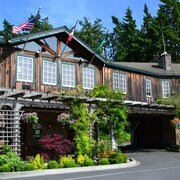 The closest hotel is The Edenwild Boutique Inn. What are the most popular La Conner hotels? 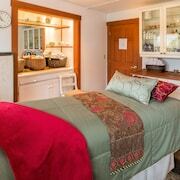 Darling Beachfront Cottage Only Minutes From La Conner Town. Its Tulip Time? Are there hotels in other cities near La Conner? What other types of accommodations are available in La Conner? Explore La Conner with Expedia.ca’s Travel Guides to find the best flights, cars, holiday packages and more!